Want to cook more creatively and take the guesswork out of measuring and substituting? Here is everything you will need to successfully handle that unexpected cooking emergency and turn out a tasty meal. This book is the ultimate reference for cooking substitutions, equivalents and preparation tips. 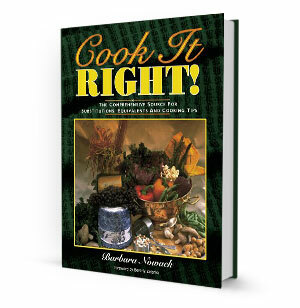 Whether you are a novice in the kitchen, a cookbook collector, or a professional chef, you will refer to this resource every time.